After finally finishing the last of his stash of Reese’s Peanut Butter Cups, Ed Boon decided it was time to reveal the latest character to join the cast of Injustice: Gods Among Us. Enter ruthless assassin, Deathstroke the Terminator, armed with an arsenal of vicious weapons. 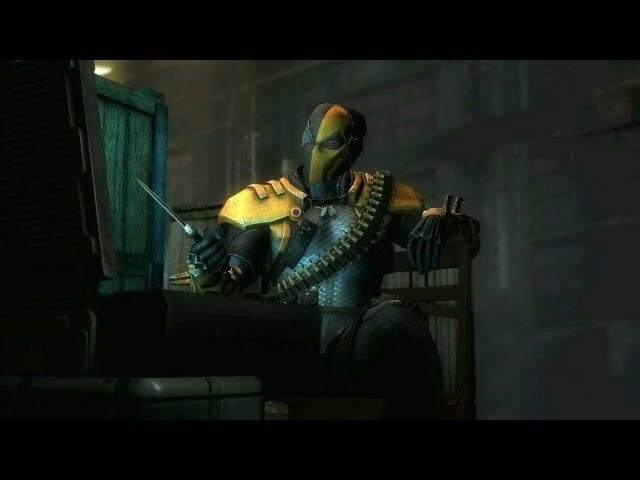 The brutal mercenary appears to be even tougher than he was in his appearance in Mortal Kombat vs. DC Universe, taunting his victims mercilessly before spraying them with bullets. What do you think of Deathstroke joining Injustice? Who do you hope to see next? Stay tuned to Kamidogu for more Injustice news and updates!